Quartz floors are very beautiful and they're tough. This combination of beauty and durability make them popular in kitchens, offices, and retail venues. The typical quartz floor is built on the integrity of the quartz granule. 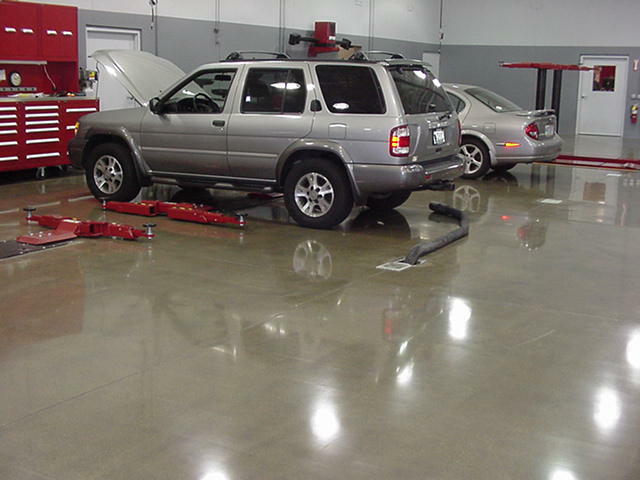 A thick binder coat of epoxy is installed to the floor. While wet, the coating is filled to excess with quartz granules. Once dry, all excess quartz is swept from the floor and a second binder coat is installed. Again, the wet coating is filled to excess with quartz granules. 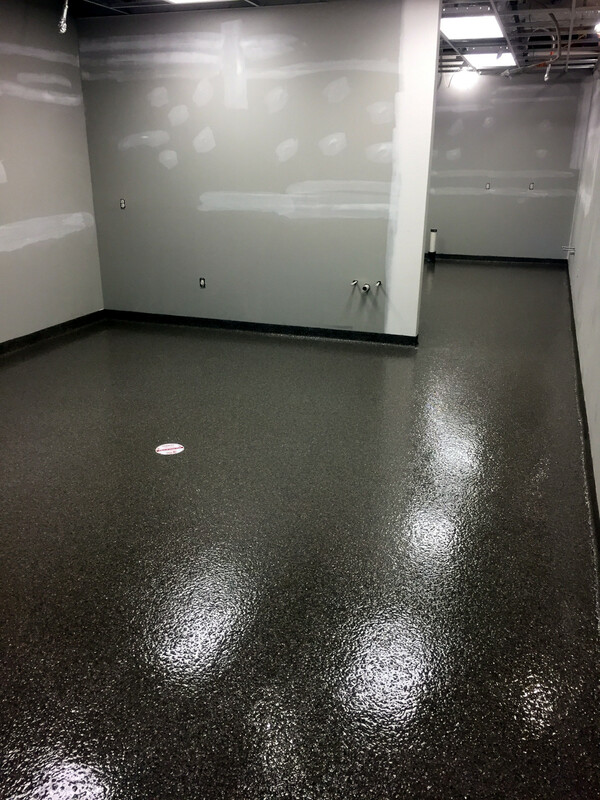 When dry, all excess is removed and a thick grout coat of clear epoxy is installed. 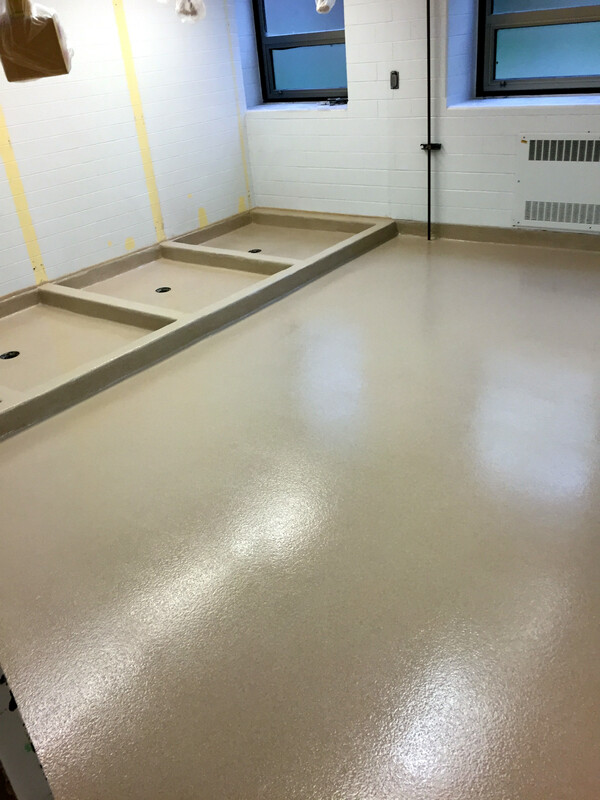 This is followed by a clear chemical resistant topping, either novolac epoxy or chemical resistant urethane. The systems range for 1/16" to 1/8" thickness. Each binder/quartz coat is identified as a "seeding". Double seeded quartz floors are the most popular. The system may also be toweled into place. Customers may choose from a wide range of colors. Normally, more than one color is used to create a beautiful "blend". The floor's texture may be altered by varying the final coat's thickness. Check out our Color Card link page to help choose the right color for your facility.